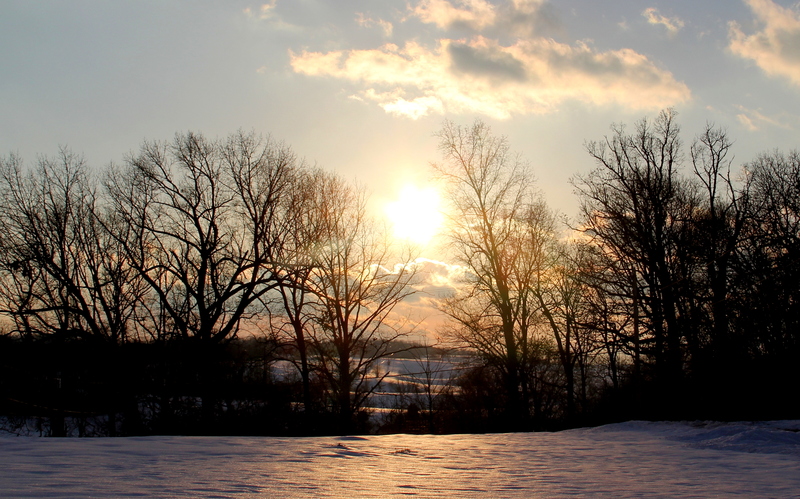 This entry was posted in Photography, Snow, Winter and tagged Dragon, Field of Snow, Sunset on Snow, Winter Photography. Bookmark the permalink. I know it is difficult, and I certainly have not been stuck on an interstate for hours or lost power, so it’s easy for me to be annoyingly optimistic about snow. Thank you so much for putting up with me! Snow dragons are the best but I think me and winter have reached our breaking point. 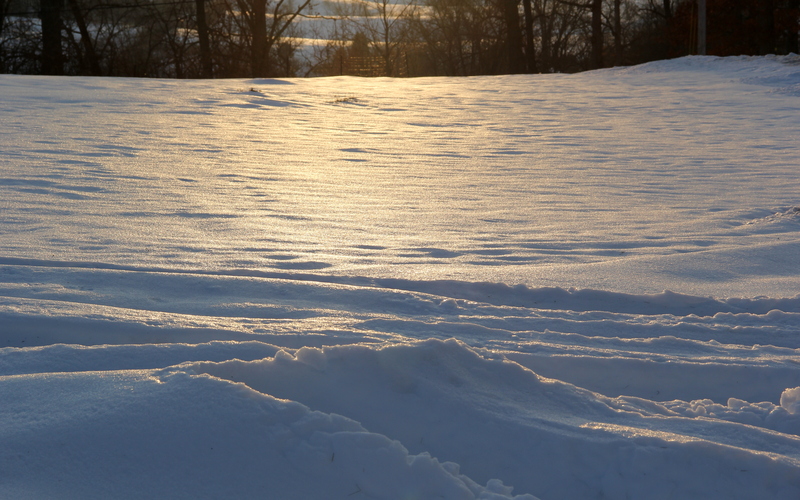 I love that glint of sunlight on snow – so beautiful! But I’m still trying to find a summer to embrace Laurie – this afternoon became deliciously warm and that is a nice wee taste ….. It has been such a hard winter for so many in the Northern Hemisphere this year hasn’t it – floods, storms and extreme cold probably do wear out a welcome pretty quickly – but it may be the new norm…. PS The dragon roof is so intriguing, does it sit over a restaurant? I definitely have not been stuck on an interstate for hours like some, or lost power, or been in a wreck on icy roads, so it is easy for me to be annoyingly positive. Four seasons in a day! That would be completely annoying and challenge even my glass half full attitude! 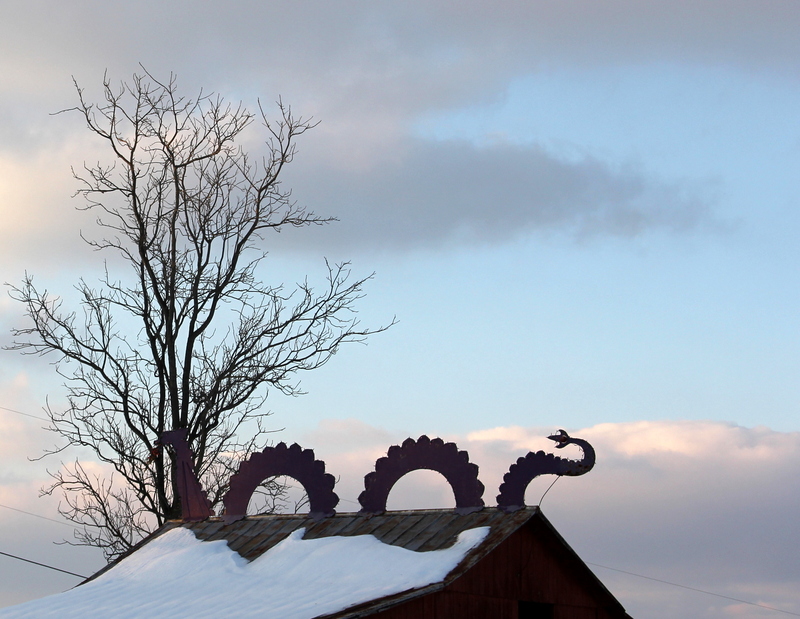 The dragon sits permanently atop a friend’s barn. Cool huh? Oh! and I promise … If I had to live in the far south (which I would never do), I would be complaining on a regular basis. Where is this dragon located? On a farm over a barn, in town, over a restaurant? As for winter, Eh, winter is not so bad when the weather is 70 degrees and the sun is shining so bright! I know, I’m bragging, but it was a wonderful day. I am sure that 70 degree day was lovely and I would have embraced it too! The dragon sits atop a friend’s barn …isn’t it wonderful? You know what’s funny? This was the evening of the hot tubbing picture you may have seen on FB. When we were tubbing, it was cloudy and oh so cold with an almost bitter wind. It was still cold and windy when I took these shots, but the sun had come out and it was just lovely! good gracious Boomdee, you live in Edmonton? Well, thank goodness for Laurie’s photos so you don’t forget what warmer weather is like. 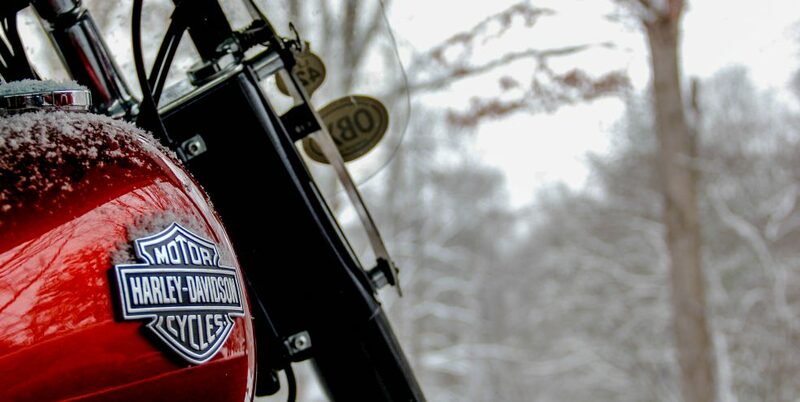 Love the dragon, but can I feel love for winter when it goes away? Well, we have two feet of snow on the ground, with plowed piles much higher. Tomorrow it’s supposed to rain, then turn to ice, then turn to snow. After that, it gets frigid cold again. I’m hoping we turn a corner in March. The dragon is too fun! Love it! Isn’t it great? A very familiar presence in my community. Joe, that is your brother isn’t it. The one that is largely considered the more intelligent sibling. The enjoyment of winter has long since passed……..warnings for tomorrow: rain/sleet/ 6″-10″ of snow possible with 40 mph wind gusts!!!!!!! S’posed to be the worst storm of this season…………………..huge SIGH!!!!!!!!!!!!!!!!! 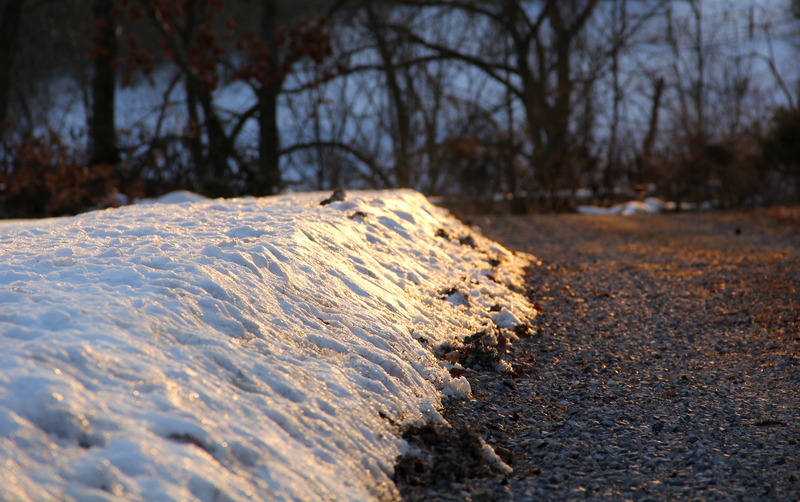 Oh, I am sure you are so tired of all that snow, but even more the wind, sleet, and rain. I’ll be thinking of you and hoping it doesn’t come to pass. So far….waiting. It will be interesting. Off to quilting shortly and then I will be fully immersed in fabric goodness!!!!!! This post is specially designed to lift my winter blues, and I’ll bet you didn’t even know it was for me! I’m a dragon girl. I collect dragons (mostly impressions of dragons, but I had one live one when I lived in California) and consider them my familiar, my totem. Even your title in my inbox made me wiggle in anticipation. Isn’t it great that someone would take the trouble to mount a whimsical dragon on a barn. Humans are wonderful. I am so not surprised to know you are a dragon lover! Your comment made me happy, Crystal. It’s easy to love winter viewing these lovely photos from the gentle clime of the West Coast. Thanks for the photo love, Bruce! I feel no love for winter, but I am feeling it for your fine images. The first one rocks and the dragon is very cool. Thanks so much, Mike … thanks for the photo love!! Your comment made me smile – glad you enjoyed the photos AND the dragon! Thank you and I’m sure you are another northerner who has just about had enough! Especially in that evening light, right? So pretty and I’m glad you liked them. Thank you! Gorgeous, gorgeous photos, Laurie. I love the composition in that second shot. I also realized my eyes (or mind) played tricks on me. I thought the dragon was near water, then realized on second look that it was snow. Beautiful! Poor you is right…how did you manage not to freeze do death when you got out? Lovely photos! What a cool dragon. We in the South are tired of this never-ending winter too. I know I should not complain, but this has been the worst winter I can remember since I moved to Oklahoma 24 years ago! I told winter that she and I are done. Kaput. Over. But she just keeps stalking me. I wake up, and she’s right there, outside my door . . . And I hear her in the night, her lonely voice howling around my windows . . .